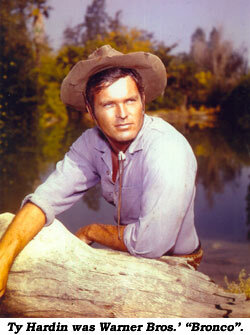 Will Hutchins remembers Ty Hardin. We lost Ty Hardin, my ol’ compadre, the Houston Hurricane. We served time during the ‘50s and ‘60s out there at the Warner Bros. Honor Ranch. 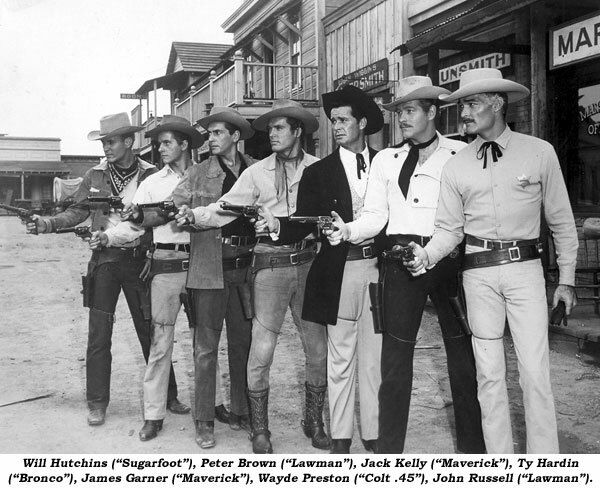 We helped keep America safe for democracy, fighting side-by-side in Sam Fuller’s “Merrill’s Marauders”. We mounted up with Clint “Cheyenne” Walker in “Duel At Judas Basin” and rode off toward the sunset. ‘Course, we were on the sound stage at the time, and the sun was painted on the backdrop. Last time I ever played “Sugarfoot” was on Ty’s “Bronco” show in an epic titled “Yankee Tornado”. Came time for my last scene—it was a shoot-out—thought I’d go off in a blaze of glory. I’d blast the baddies by fanning my trusty pistola. Director yelled, “Action!” Blam! Blam! Blam! “Cut!” Blood all over the saloon. I’d ripped my hand wide. I still have the scar on my left palm. You can see it pretty good on a cold day. Ty was bigger than life, a professional Texan, a born TV cowboy. I once heard him confide to a fair damsel, “Ma’m, I’ve never worn a pair of low quarters in my life.” We all kidded him, the big galoot. I called him Ty Hardeen, the Turkish cowboy. Once, Warner Bros. put on a blacktie soiree at a snazzy hotel in Beverly Hills. We told Ty it was a costume party. There we all were in rented finery, and there was Ty in feather, loin cloth, and full body make-up—yahoo! He looked not unlike Iron Eyes Cody’s secretary. Boy, did he have fun that night. The joke was on us.